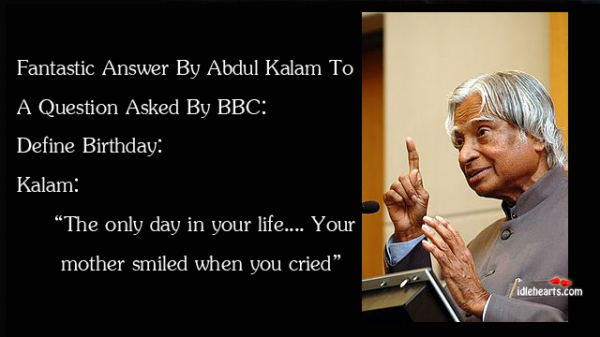 Fantastic answer by Abdul Kalam to a question asked by BBC: Define Birthday: Kalam: The only day in your life…. Your mother smiled when you cried. Quote : Fantastic answer by Abdul Kalam to a question asked by BBC: Define Birthday: Kalam: The only day in your life…. Your mother smiled when you cried.